US Secretary of State Mike Pompeo’s planned meeting with his North Korean counterpart Kim Yong-chol, which was due to take place in New York on Thursday, has been postponed, the State Department said Tuesday. The top US diplomat’s meeting with Kim “will now take place at a later date” and they will reconvene when their “respective schedules permit,” according to a statement by State Department spokesperson Heather Nauert. “Ongoing conversations continue to take place,” it read. Nauert did not offer an explanation as to why the talks were being postponed. It is also unclear which side asked for the postponement. Pompeo and Kim were expected to discuss Pyongyang’s denuclearization steps and Washington’s corresponding measures to lay the groundwork for the second summit between US President Donald Trump and North Korean leader Kim Jong-un. The high-level meeting was planned amid escalating tug of war between the US and North Korea over lifting of economic sanctions on the North, and a lack of visible progress on North Korea’s denuclearization since their leaders’ summit in June. The South Korean government was notified of the postponement and looks forward to seeing the meeting take place in the near future, the Foreign Ministry said. “It is rather the two sides will hold the meeting when their respective schedules permit,” a senior official from the ministry said on condition of anonymity, when asked whether the North Korean side was not ready for the meeting. The official cautioned against reading too much into the postponement. The official was also open to the possibility of a working-level meeting between Stephen Biegun, the US envoy for North Korea, and his North Korean counterpart Choi Son-hui. The US offered to hold working-level talks to follow up on the commitment made by Trump and Kim, but North Korea has not responded to the call. The postponing of the meeting signals that North Korea is not willing to meet the US’ expectations, according to Woo Jung-yeop, a research fellow at the Sejong Institute. High on the agenda were expected to be a verification by US inspectors of North Korea’s Punggye-ri nuclear test site, which it dismantled in May, and its Tongchang-ri missile engine test site, and possibly its key Yongbyon nuclear complex as well. The two were also expected to discuss corresponding measures by the US, which analysts say could include a partial sanctions relief, declaration of an end to the Korean War and setting up a liaison office between the two countries. The fact that North Korean leader Kim Jong-un assigned Kim Yong-chol, vice chairman of North Korea’s ruling Workers’ Party Central Committee, to the talks rather than a diplomat could mean that North Korea only wanted to talk about plans for a North Korea-US summit, Woo noted. Another expert said that North Korea might have not been ready. 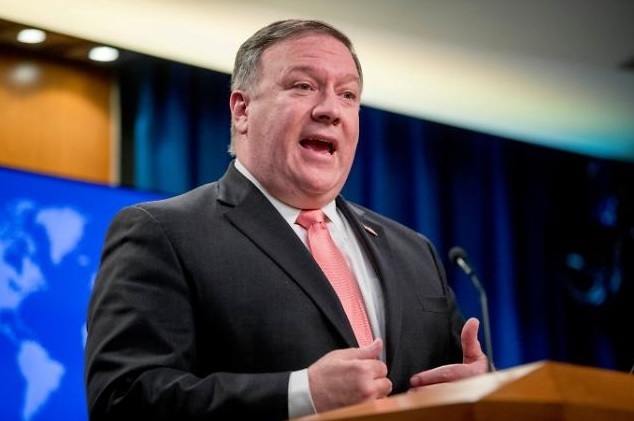 “If there were big differences they could not reconcile, the State Department would have not made public the date of the senior-level meeting,” said Hong Min, a senior researcher at the Korea Institute for National Unification think tank. Pompeo and Defense Secretary James Mattis are scheduled to host their Chinese counterparts at the second US-China Diplomatic and Security Dialogue to be held in Washington on Friday.